Another job well done on my 2016 WRX. 9 windows tinted along with partial tints on the tail lights and the head lights. Nothing has changed here. The crew is still great with a great attitude. Thanks, I’ll be back with my next car. I took my BMW to Monumental Workx today and Theo did a great job! Fast, clean and for a great price! 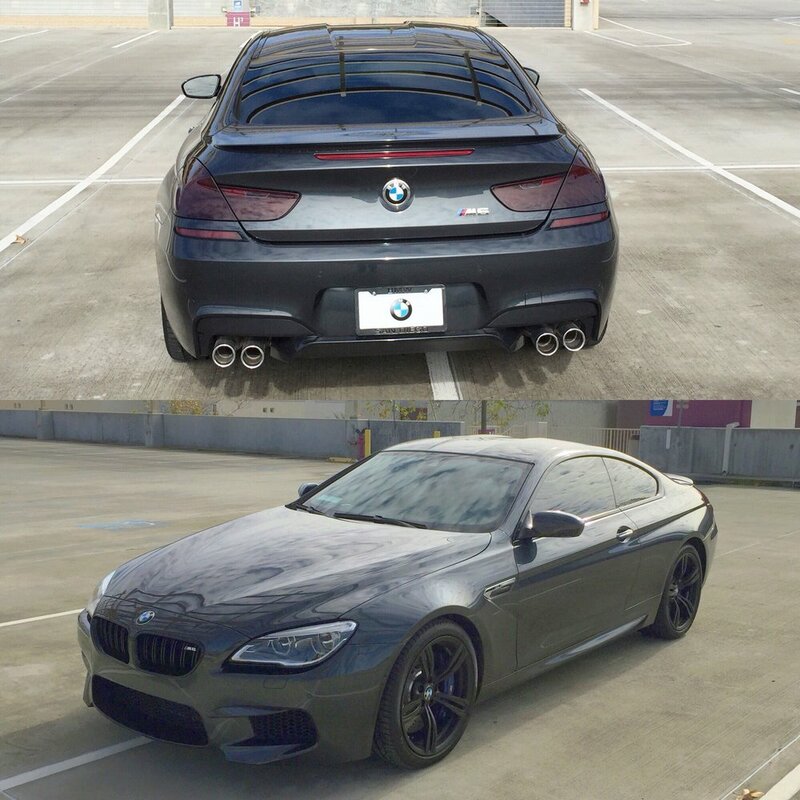 I went to a few other shops before letting anyone touch my BMW. Most of them were kids thinking they were the best tinters ever but far from it! Anyway Theo took the time to trim close to the edge so the car looks great now! A++. Also I left some stuff in his shop and he called me and told me about it! Honest too If your looking for a great tint job for a great price go see Theo @ Monumental Workx! Like all the other reviewers before me, Monumental Workx is a great place to go, Theo is a nice and knowledgeable guy who’s willing to help you out with any questions you may have. I found Monumental Workx through Yelp and chose this establishment based on the reviews here. They were not wrong! They have very reasonable prices and are very competitive with them. For the quality and price you’re paying, far exceeds the amount! Also, the yelp customers discount that is listed on this site is great! Monumental Workx go out of their way to reach customer satisfaction, reaching out to the yelp community is a great outlet! Theo and his team are super awesome! Great work and great team. They gave me a three hour time frame and got it done in two. These guys are very passionate about what they do and worked on my car with a big smile the whole time. Wow! Top notch work. As owner of a new V10 R8, I was anxious bringing my car to anyone. I knew I wanted an expel clear wrap on my front end, but these guys price was so much better than everyone else’s, I was a bit worried about quality. I went with the YELP reviews and gave them amtry. Theo and his team brought it! Custom job that is 5 star plus. They reapplied 5 times to get it perfect. Anyone needing clear bra, head straight over! These guys are the best and most affordable. A true winning combination. Nick was a great help in helping me decode how dark I wanted to go with my windows (and so patient through my indecisiveness!) second car for tinting we’ve brought here. Best quality, best prove, and best customer satisfaction for car services in SD. Once again Theo amazes me with his timeliness and quality of work. I went there a couple weeks ago to tent the two front windows as I was unsure how it would look. So I finally just called him. He got me a quick appointment. I ended up canceling the appt as I had to work late so he got me in later on that day. I pulled up gave him the car keys and he was done within 30 mins. Very good service! Also an update on the tinting he did back in June for me still looks amazing. No bubbles or fading and keeps a lot of glare and heat out. Plus it looks slick! Got my new Camry Hybrid SE tinted today. Curtis at Monumental Workx was very helpful and completely up front with an estimation of how many customers had to come back and get their fix-it tickets address because the ticketing officer was following the letter of the law. 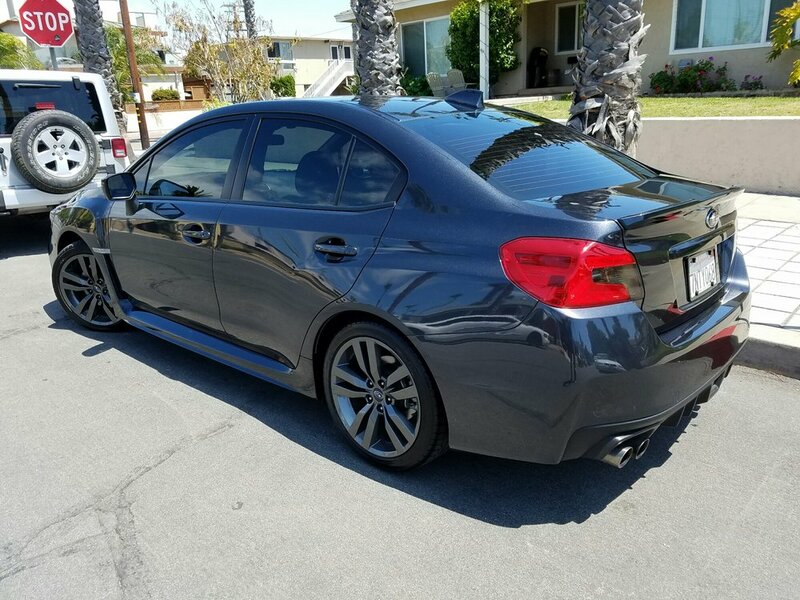 Curtis knew the product he was selling very well and did not try to pressure me into getting a tinting product I was not looking to get. He informed be that they do carry other tint films but did not push them on me. That right there is what I call being customer oriented and not super profit oriented. 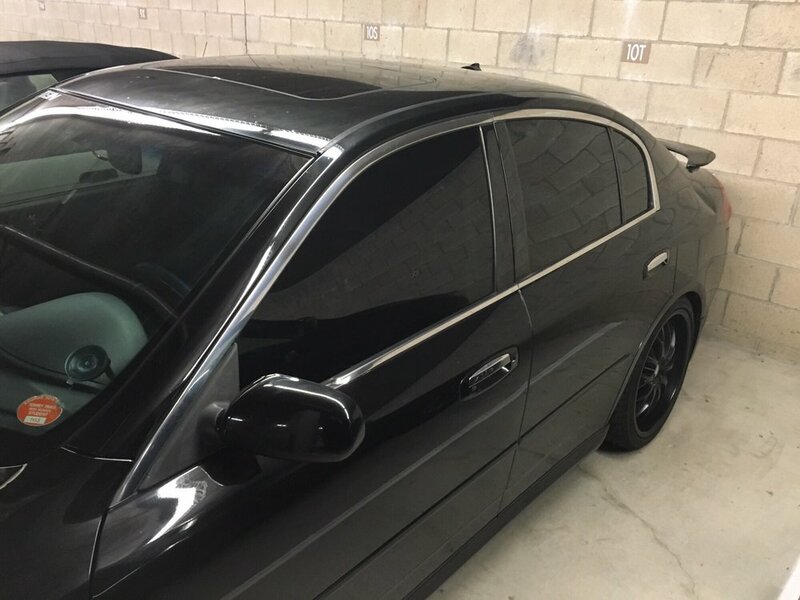 Got my Infiniti G35 tinted there 15% all around. Came out great, everyone there was friendly and nice accommodations while waiting (netfilx, hulu, etc) Best priced and only shop I called that has life time warranty for free with tint. Would recommend to anyone and will definitely becoming back for some other work! Just got my car tinted today by Nick. He did such an amazing job and my car looks absolutely awesome. If your looking for a tint shop that is very personable and will get the job done the first time then this is the place to be. I will definitely recommend this shop to all my friends and family. Go to this shop for all your tinting needs you will not be disappointed. This place is amazing. Theo, the owner/ operator, is amazing! So here is the situation:I lost my keys that includes my remote for my alarm. My alarm had a kill switch and I couldn’t start my car. Theo actually picked me up from my house and came to my car! He made my car start somehow and then we drove over to the shop. He installed the new system and it was absolutely wonderful! I was looking to get my car’s windows tinted and noticed this place had five stars and it was very close to where I live. But, ultimately, the reason I gave them my business was Theo’s informativeness and friendliness – I had lots of questions, and he took time to answer them all. I went with 3M FX Premium (25%) on front and back windows of my ’08 Toyota Corolla. After the two-hour wait, I was very impressed with the work. The tint goes all the way up to edge of window. Blocks out the sun’s heat, reduces glare at night, and makes me feel I have some privacy when I drive. By the way, 3M has a lifetime warranty. So, if the tint turns purple or bubbles, Monumental Workx will replace for free. These guys do good work. 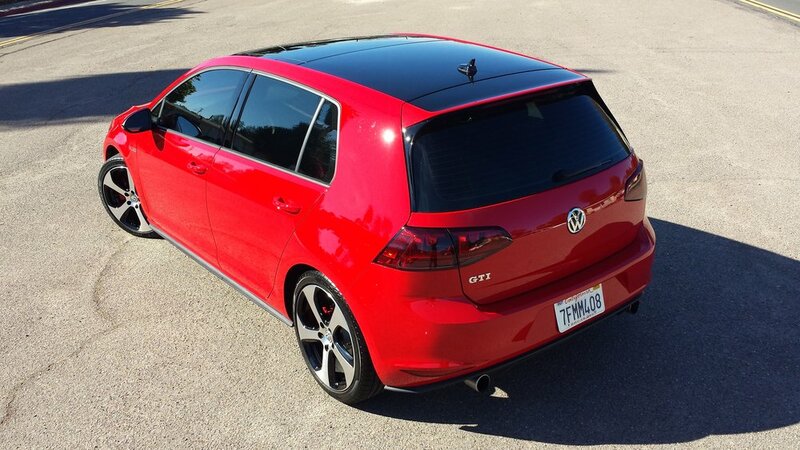 Had my GTI tinted, roof vinyl installed, Tinted break lights and blacked out VW badges. They did a great job, stayed late to do it right. Reasonably priced too so I will be back. These guys are really awesome. They really did a wonderful professional job thats flawless and they were nice and helpful. They answered all my questions and were able to give me exactly what I wanted… and they aren’t expensive at all. You get way better quality work for the same price or maybe even less than some of the overpriced con places out there. These guys will guarantee the job and do it right the first time. Don’t go somewhere else and end up here having them fix it later and having to spend even more money, trust me it’ll happen. Great Service and Best prices in town!! I spent a week calling around to different tinting places, just picking their brains to reacquaint myself with the tinting info, and getting quotes.Monumental Workx is one of the last places I called because Yelp didn’t even list it for the first couple of searching via my iPhone. But I am glad that it finally showed the company. Theo had the best price in town while still using quality tint film. Best price, best service, best final product! Theo is the nicest, easiest to work with and good at his craft. I would recommend him to anyone that needs quality tint work. Shout out to Curtis for being patient with me and educating me on the different types of tint they offer and explaining their prices. They also installed the overlays for my tail lights (I bought the overlays from an online retailer). The job was completed in the time they estimated and it was done perfectly. I’ll keep them in mind for other tint jobs and car audio installs as well. Thanks again!